I should just stop making promises about updating this blog with much frequency. I have good intentions, I promise, but I am unable to deliver. So, while time between updates increases, so does the backlog of projects to share (which is a good thing, since it means there will usually be something to share with you when I actually get around to updating). And, as usual, it’s Virginia who is providing the scratchcraftiness. If I were to wait for my finished projects before posting, you’d probably be fine with checking back once every 6 months or so. 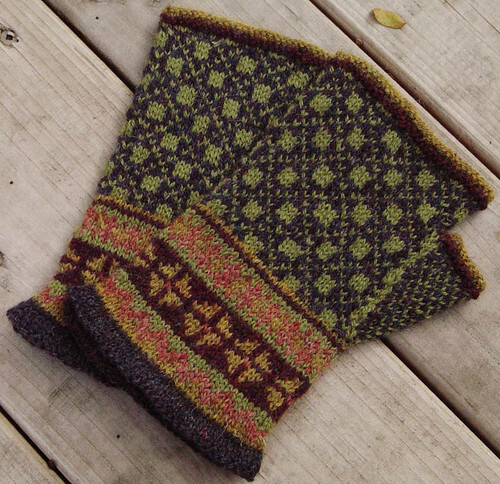 These are from Véronik Avery’s book Knitting Classic Style. 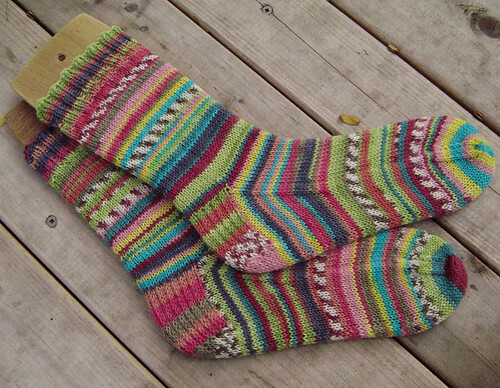 She knit these using Shetland Spindrift yarn. I gave up keeping track of the actual number of socks she has made. I find it a little sad that I’ve become somewhat desensitized to these marvels. 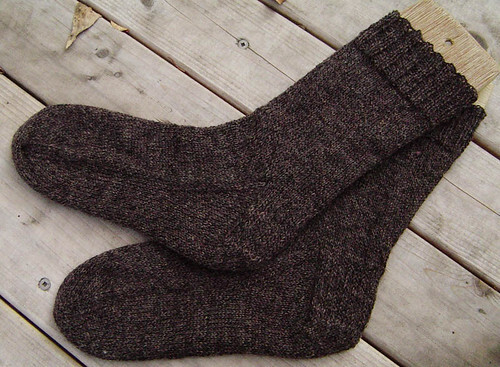 Thinking back to when I first started this blog (way back in the days of SPIN | KNIT – all that’s left is this archive…) I would have probably spent two or three posts devoted to a single pair. Now, it seems like I’m throwing whole bunches of them in each post. I think a balance can be struck somewhere closer to the original aspirations of this blog. A project a post seems out of reach. But, a post with more than three projects seems to be little more than an inventory listing. And, since I’m unable to follow through with my promises, I’ll only reiterate that my intentions are good. Stay posted! Ah but when you do post, you always show us the good stuff. 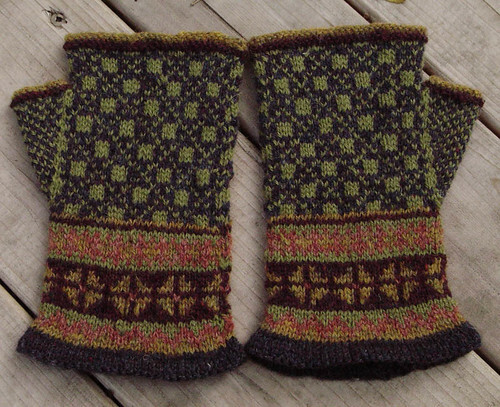 Love the fingerless mitts! I always check eagerly for updates, no matter how infrequent 🙂 You both do beautiful work and provide plenty of inspiration. Thank you for sharing.